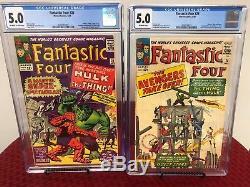 Fantastic Four 25 & 26. 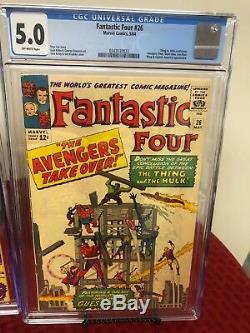 (1) Fantastic Four #25 CGC 5.0 Grade (Off-White to White Pages). 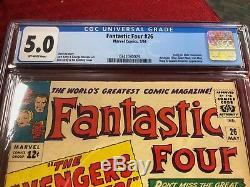 (1) Fantastic Four #26 CGC 5.0 Grade (Off-White Pages). 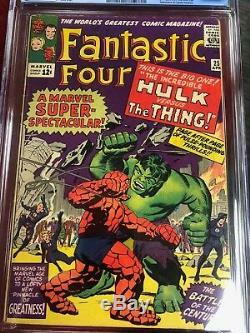 Complete storyline of 1st Hulk vs Thing battle. 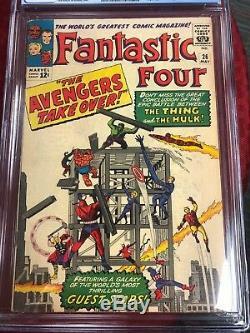 Avengers appearance and 2nd silver age appearance of Captain America. Also, appearances by Thor, Giant-Man, Iron Man, and Wasp. 1 Carefully review all of the photos. 2 If you need more information or photos, please contact me. 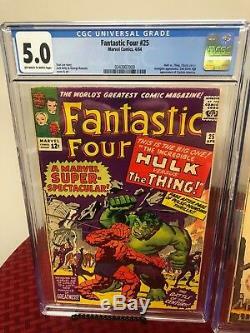 The item "Fantastic Four 25 & 26 (CGC Graded) Hulk vs.
Thing" is in sale since Friday, January 18, 2019. 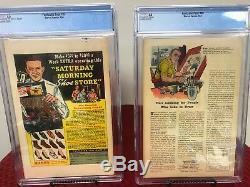 This item is in the category "Collectibles\Comics\Silver Age (1956-69)\Superhero\Fantastic Four". 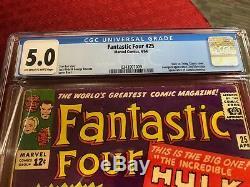 The seller is "docrock337" and is located in West Lafayette, Indiana. This item can be shipped to United States, Canada, Mexico.